Managers are using metrics such as productivity, quality and low costs, to reach their objectives and keep companies success; however, customer expectations in the twenty-first century are not only including deliveries on time, good quality, and low costs; but they are also looking for values such as long term commitment, strategic integration and innovation as competitive values. For the mentioned conditions, today’s managers need to learn how to adapt to such challenges by using flexible methodologies that help them to integrate more qualitative requirements to the conventional metrics. For this challenge recently, Lean-Sigma has proven to be a flexible and adaptable methodology that can incorporate such requirements. For proving this concept, this chapter describes a case study in which the initial valuation of the metrics shows that a product has been delivered as expected with the quality and productivity values in the best levels. However, the customer perception is different and product competitiveness is at risk, signals that the operations management presented as a priority requiring actions and a later solution. 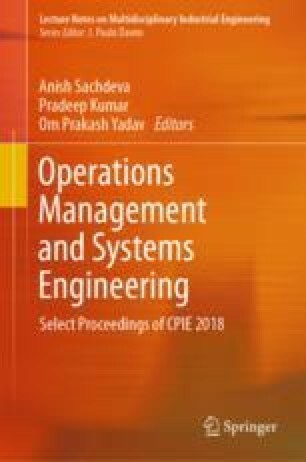 Using the Voice of the Customer (VoC) and Lean-Sigma, this study focuses in an operation framed in the automotive industry. The assembly process is the target in specific in the cutting step of rubber hoses, which have to measure different lengths depending on the product models. At first sight, with a production rate of 1000 pieces per hour, the 7 complains in a year looks as expected for the variability in the process. However, the quality perception and confidence of the customer are at risk. Actions were taken and in two weeks the team incorporated the qualitative requirements to the operations’ quantitative targets and responded to the customer concerns and kept the product competitiveness. The adjustments and implementations results are reflected in the measured values at the cutting process, achieving an 80% reduction in the process’ variation, and an increment in the capability index (Ppk) from 0.97 to 1.97.